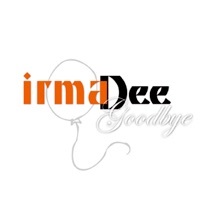 The first single by Irma Dee in 2010. She is a wonderful person and talented singer living in my hometown Ede. Again I started with designing the album logo. I designed her logo to be bold and tough but feminine and modern at the same time. After that I spiced up an original photo done by Richard Sinte. Since forever I have been obsessed with music and especially remixes. Being born in 72 I grew up in the 80’s at the time of the forceful BANG! of 12” records. Apart from being a collector I also produce remixes. My remixes will almost always be faithful to the original mood of a track. They are extended remixes or alternative remixes rather then complete new productions. The goal will always be to not alienate the original fan of a track but rather explore the depths of a production and surprise listeners by unraveling undetected elements while adding a few bits and pieces in the process. These pages give an overview of my learning curve as a remix producer and cover designer. Commercial release of these tracks is illegal. I do not own the copyrights of them! If you are the legal copyright owner of a track and want it removed please let me know. I started of designing the album logo. A combination of fonts form Crosspop. 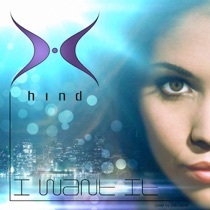 A design representation of Hind’s ideas behind the combination of influences in her music. 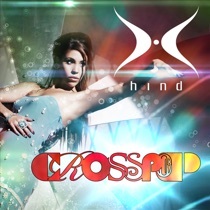 After the logo came the cover. Hind’s most important wish was to have it colorful. Using elements made by my work colleague Gerard I came to this mysterious but beautiful design. The first single from Crosspop. 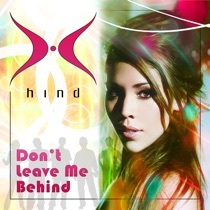 In the back you can see silhouettes that represent the fans and people around Hind. 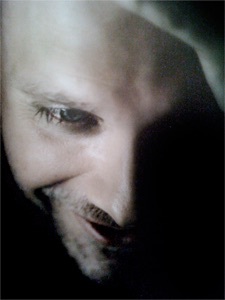 The idea is also present in the videoclip of this track. The second single from Crosspop. This time a cool blue and purple design. Again in the back a hint to the lyrics of the track. 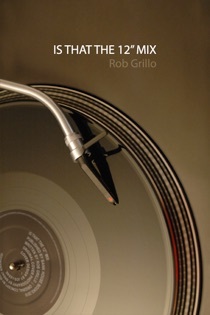 Rob Grillo - Is That The 12” Mix? My first and only book cover to date. This came to life through a contest on facebook. Rob asked his followers their opinion about the first cover draft. It was inspired by the original 12” cover of Blue Monday by New Order. The mixed reactions catapulted the idea for a contest. One of my entries won and became the official book cover. I used an original picture found on flicker by Brent Kirkwood who kindly gave his permission to use it when word came in from the publisher. I made minor changes to the original photo but included a new 12” label inspired, of course, by Blue Monday’s original. 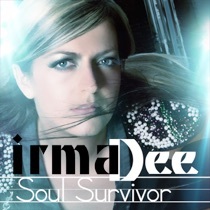 During the radio station promotion tour of the single the record company used life size carton cutouts of Irma. Again a first time for me but apparently the Irma Cutouts did great. And the third promo cover art. For this one we wanted something different. We wanted the cover to speak for it self. Song title and balloon art should do the trick. 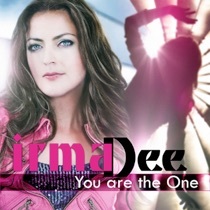 For the second single cover photography and video clip Irma teamed up with some of my friendly work colleagues at Lukkien.